Chris Cox appeared on NRA News yesterday to clarify NRA’s earlier statement. He suggested it was unwise to characterize the behavior as “weird,” “foolish,” and “scary.” Personally, I don’t think they ought to feel the need to apologize for being right. Nonetheless, the media was having a field day with the statement, and started characterizing the statement to include all forms of carrying a firearm, and not just restricted to long gun OC under these specific circumstances. That’s why I was a bit surprised they’d make a statement in the first place. It’s almost a damned if you do, damned if you don’t situation, and you can fully expect the media and our opponents to distort it. Nonetheless, I think making the statement was the right thing to do, and I think they should have just stuck with the original statement. Apparently I’m not the only one who thinks that. Over at National Review’s “The Corner,” Charles C.W. Cooke essentially says the same thing. 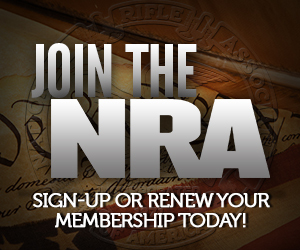 Priority One at the NRA…keep the membership dues flowing at all costs. Everything else is secondary. I think the NRA achieved exactly what is wanted: Big coverage of the original statement, not so much coverage of the retraction except among activists. A lot of people I know who were pissed about the original article liked Cox’s statement. If they retracted it, it would disappear. I think this was a very savvy play. Distanced themselves from TXOC, then distanced themselves from the “word choice.” The MSM covered the original statement, few people remember the “correction,” except most of the right people. Yup — really, all they walked back was the word “weird”.